Its but natural that one tends to over eat while relaxing and that takes place invariably during holidaying. But Do you know that eating just an extra biscuit every day during the holiday season could cause you to gain a kilo or more? That may not sound like much, but 10 years from now you would be weighing approx 5 to 7 kgs more than you do right now. Many people gain 2 to 3 kgs this time of the year because of the temptation of delicious treats and extravagant dinners. 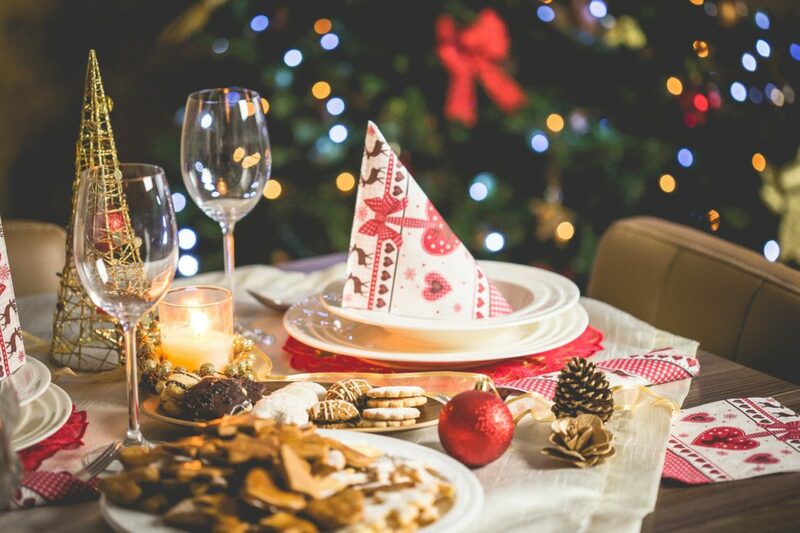 The holiday season is a time filled with parties, family gatherings and lots of food, but with a little help, you can keep to eating right and not more during holidays. Eating a healthy & nutritious diet makes you feel better and more energetic to enjoy your holidays without that guilt of overeating and weight gain. Here are the Top 10 tips to avoid overeating and putting on weight during holidays. Many people believe that if they skip breakfast or lunch, they can save up all of those calories for the holiday party that night. That sounds like a good idea, but skipping meals can make you crabby, tired, and maybe even leave you with a headache that just might ruin your evening festivities. Plus, when you are really hungry and surrounded by high-calorie holiday treats, you may very easily turn into a raving eating-machine and consume many more calories than the ones you skipped earlier in the day. Don’t skip meals; just eat sensibly.